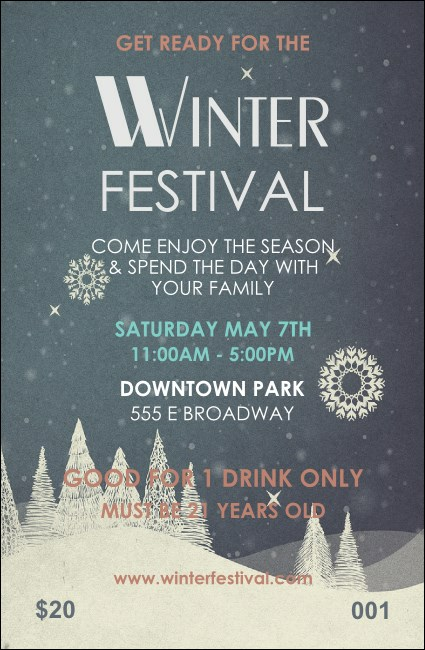 Hot cocoa...coffee...a hot toddy....Delight your guests and make it easy on the service staff when you pass out the Winter Drink Ticket at your next event. This festive design features snowy trees on a hill, with snowflakes and stars in the night sky. Fill in fourteen lines with event info in template below and we'll send them your way.